Formed by multi instrumentalists Xavier Boyer, Médéric Gontier, Sylvain Marchand & Pedro Resende, Tahiti 80‘s adventure began in the French cities of Rouen and Paris in the mid 90s. Boyer and Resende formed the pop combo as students at the University of Rouen, sharing an affinity for indie music, new wave and sixties pop. The duo then recruited guitarist Mederic Gontier and a year later they added Sylvain Marchand on drums. The lineup was finally complete and would remain unaltered for the years to come. The foursome released their debut album, Puzzle, between the end of 1999 and early 2000. Featuring contributions from Eric Matthews and Adam Schlesinger, Puzzle was recorded in the US and mixed in Sweden with Tore Johansson. It was followed by Wallpaper For the Soul in 2002 and Fosbury in 2005. The latter spawned the acclaimed single “Changes”, which fell into the expert hands of UK tech-house duo Swayzak and was remixed to great effect. 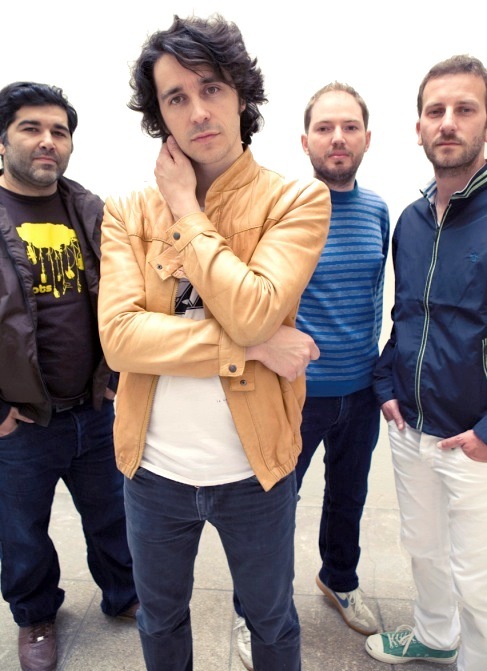 After a short-lived experience working with major label Barclay and a fourth album, Activity Center, described by the critics as a back to basics album, Tahiti 80 are now back with new material and a new label! Their brand new album, The Past, The Present and The Possible, is out since February on Human Sounds. As a bonus here’s a remix of the first single taken off the new album. “Darlin’ (Adam and Eve Song” gets the remix treatment by the hand of Detroit-based electro wizard Jimmy Edgar.